Staying in Old Phuket Town? Check out the other branch of Simon Star Show near you! Great show booked the day before. Was the best price I could find of 600bht including round trip transfers from my hotel. Worth seeing. The costumes are amazing. Only concern was I didn’t receive notification of my pickup from the hotel although my booking said I would so I had to get my hotel to ring and check. Everything went really smoothly other than that. Since opening in 1991, Phuket Simon Cabaret has established itself as one of the must-see entertainments whilst in Phuket. You'll be downright wowed by the outstanding set designs, extravagant costumes and glamorous performers. The show features modern and traditional acts from across the globe, set within an intimate theatre with hi-tech sound and lighting equipment, and accompanied by upbeat songs and Thailand's famed *kathoey* (‘ladyboy') dancers. The show which one must watch if they are in phuket. The performance was wonderful and also diverse with lot of multiple themes. Overall, amazing experience. Beware of the performers asking for money for pics post the show. The show which one must watch if they are in phuket. The performance was wonderful and also diverse with lot of multiple themes. Overall, amazing experience. Beware of the performers asking for money for pics post the show. An hour Nonstop performance. We booked VIP seat and get on the 2nd row from the stage. It was really awesome experience. Price at KLOOK much more cheaper comparable if you buy from tourists agent. Highly recommended to watch this show. An hour Nonstop performance. We booked VIP seat and get on the 2nd row from the stage. It was really awesome experience. Price at KLOOK much more cheaper comparable if you buy from tourists agent. Highly recommended to watch this show. the show was magnificent. we love it. you can take photos with the performers after the show, but please do remember that it's not free. however, indian tourists were so noisy during the show. so do find any seat that far from indian and chinese tourists. and please redeem the klook voucher for entry card at least about 1 hour before the show to avoid long queue at the ticket booth. the show was magnificent. we love it. you can take photos with the performers after the show, but please do remember that it's not free. however, indian tourists were so noisy during the show. so do find any seat that far from indian and chinese tourists. and please redeem the klook voucher for entry card at least about 1 hour before the show to avoid long queue at the ticket booth. Enjoy a night of music and dancing at the Simon Cabaret Show. Choose from three different evening show times. 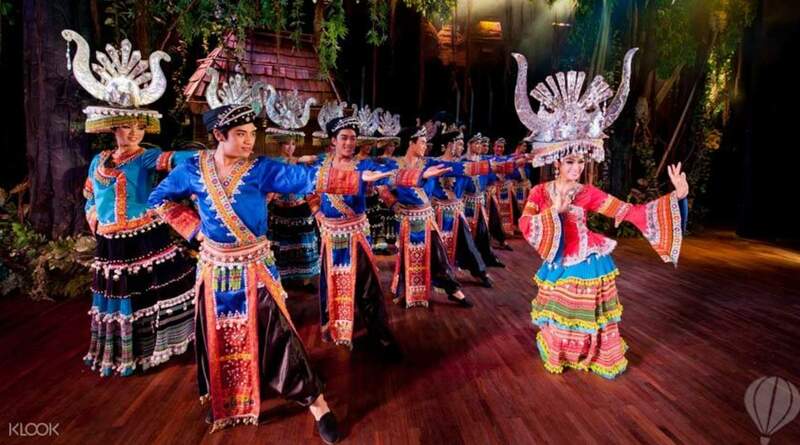 Listen to musical numbers and dances influenced by Thai culture. Enjoy a night of music and dancing at the Simon Cabaret Show. Choose from three different evening show times. 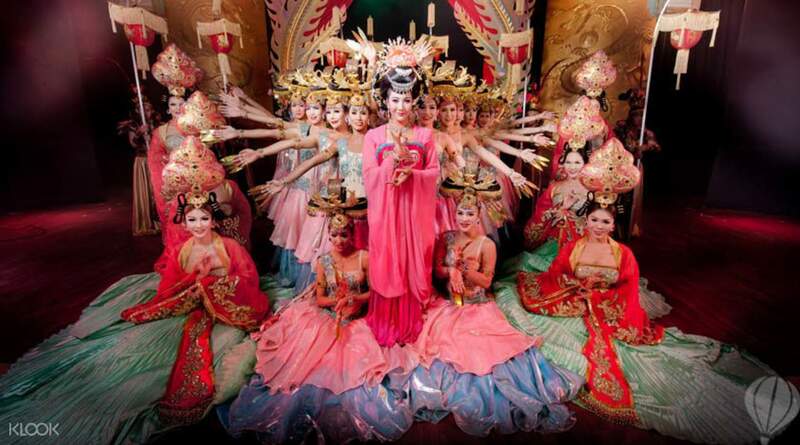 Listen to musical numbers and dances influenced by Thai culture. Awesome show! The performers are very good. Nice effects too. Never seen anything like it before! Do not take any pictures during the show. Pictures after the show are possible for THB 100 per picture. Awesome show! The performers are very good. Nice effects too. Never seen anything like it before! Do not take any pictures during the show. Pictures after the show are possible for THB 100 per picture. Great show. Value for money. Thank you for the great experience. Really liked complimentary hotel pick up and drop service. Great show. Value for money. Thank you for the great experience. Really liked complimentary hotel pick up and drop service. It was a interesting experience, good music, beautiful costumes and nice show. Highly recommend :) A Phuket "must do" !!! It was a interesting experience, good music, beautiful costumes and nice show. Highly recommend :) A Phuket "must do" !!! A wonderful cabaret show with many charming ‘ladies’. Kids felt so curious with their outstanding body structures and kept asking questions. A wonderful cabaret show with many charming ‘ladies’. Kids felt so curious with their outstanding body structures and kept asking questions. The driver for pick up was right on time. The show was amazing and one feels like travelling in time and going back to the 80's. The dancers were good and performed on several bollywood and hollywood numbers. Simon Cabaret show is not to be missed when you are in Phuket. The driver for pick up was right on time. The show was amazing and one feels like travelling in time and going back to the 80's. The dancers were good and performed on several bollywood and hollywood numbers. Simon Cabaret show is not to be missed when you are in Phuket.